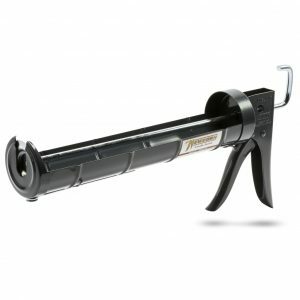 PLEASE NOTE: You will need a Large contractors caulking gun to Apply these Tubes – Smaller 10oz tubes are available that can be used in standard caulking guns. 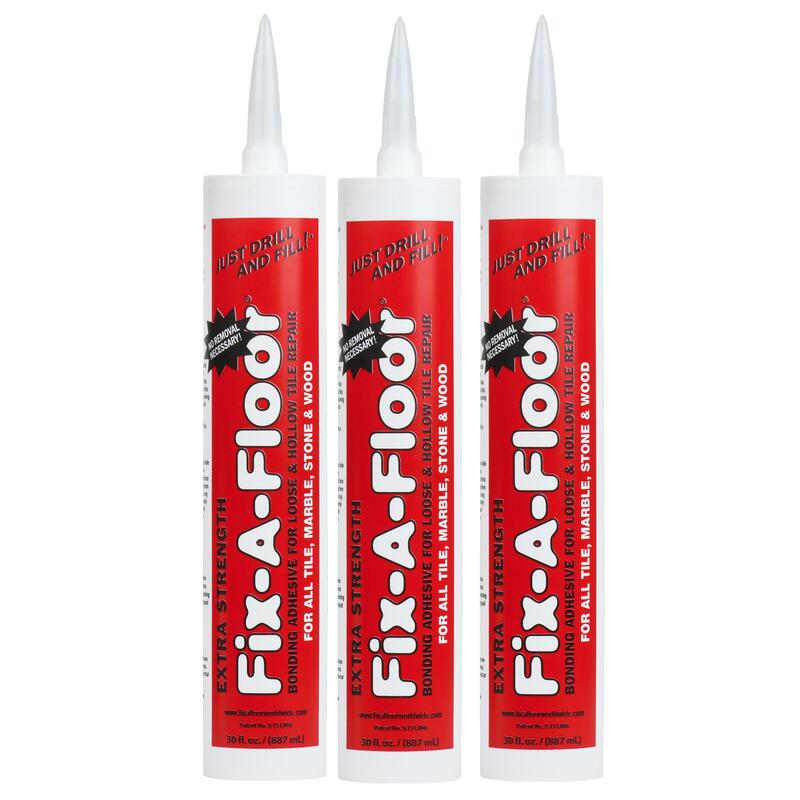 Fix-A-Floor Extra Strength Bonding Adhesive for Loose and Hollow Tile Repair is suitable for tile, marble, porcelain, stone or wooden floors. 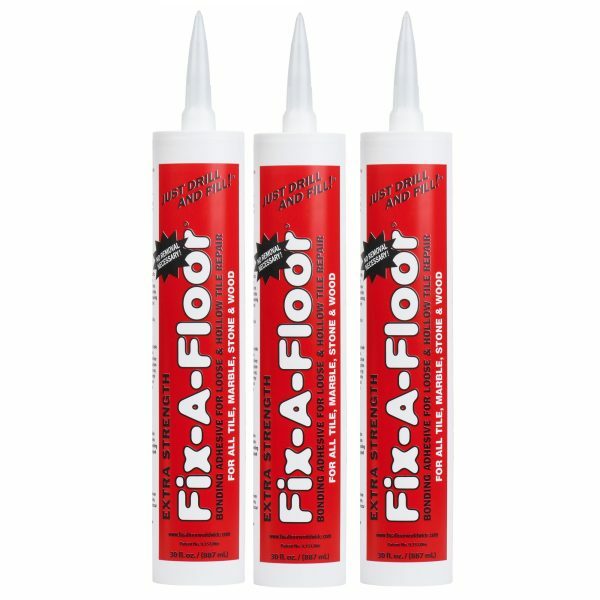 It even works on surfaces with underfloor heating.